This article is about the Cyclist. For the professional wrestler who once used the name, see El Ángel (wrestler). This name uses Spanish naming customs: the first or paternal family name is Sevilla and the second or maternal family name is Ribera. Óscar Miguel Sevilla Ribera (born 29 September 1976, in Ossa de Montiel, Albacete Province), nicknamed El Niño, is a Spanish professional road bicycle racer. He is a climber with a pedigree in stage races, having finished in the top ten of the Tour de France and Vuelta a España several times. He turned professional in 1998 for Spanish team Kelme–Costa Blanca, and his big breakthrough came in the 2001 edition of the Tour de France. Here, he showed himself as a great climber, ranking 7th in the overall General classification, and winning the maillot blanc as the best rider of 25 years of age or younger. After the Tour de France, he continued his great form in the 2001 Vuelta a España. 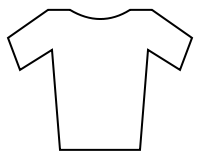 He wore the leader's jersey until the final uphill time trial stage in Madrid, which he lost to winner Ángel Casero. 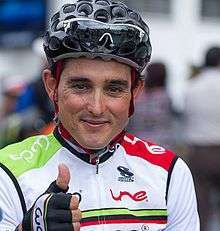 In the 2002 Vuelta a España, intra-team rivalry with Aitor González saw him finish fourth in the General classification, despite the team's initial assurances that he would be the only leader. González's racing in the very difficult Angliru mountain stage saw Sevilla lose valuable time that he was not able to recover in the later stages of the race, and Gonzalez took over the lead on the final stage, overtaking previous leader Roberto Heras. After a lacklustre 2003 season, Sevilla was injured in the 2003 World Cycling Championship in a crash, resulting in a serious back injury. The 2004 season saw Sevilla start with the Swiss team Phonak in support of Tyler Hamilton's bid for the 2004 Tour de France. As Hamilton sustained an injury, Sevilla assumed the leader's mantle, although without good results. He then switched to T-Mobile Team for the 2005 season. Since then he has fought to achieve the same great results, but his 2005 season on German team T-Mobile Team initially saw him ride as a domestique for Jan Ullrich in the 2005 Tour de France. Here, he helped Ullrich finish 3rd overall, and Sevilla's climbing improved, as well as his morale. He rode the 2005 Vuelta a España as team captain and ranked 7th overall. He was linked to Operación Puerto doping case. After he was initially named in the investigation, Sevilla was still able to ride and won the Vuelta Asturias. On the day before the Tour de France, Ullrich and Sevilla were explicitly linked to the investigation and not allowed to start the 2006 Tour de France. On 20 July 2006, Oscar Sevilla was fired from T-Mobile in relation to the aforementioned accusations. He rode for Relax-GAM for the 2007 season and Rock Racing for the 2008 season. He rode for Gobernación de Antioquía in the 2011 Tour of Utah.